Free - Now Get On with Your Life! Sean Hodgson's Lawyer Julian Young is concerned at how miscarriage of justice cases are financially left to fend for themselves. On 18th March 2009 Sean Hodgson, like so many other people, was released from prison custody by a Court. The difference in his case was that his conviction for murder was quashed by the Lord Chief Justice in the Court of Appeal [Criminal Division] some 27 years after conviction; most other people leave a prison at the end of a sentence or after a successful Appeal Against Conviction or Appeal Against Sentence when the time spent in custody is normally so much shorter. When an inmate leaves prison he is normally entitled to a release grant of about Â£46.00! That sum is intended to help until a job is found or benefits are calculated. Anyone who knows the Social Security and Benefits system knows that assessing benefits by the Department of Work and Pensions takes a considerable period of time, and a crisis loan, if granted, gives rise to an immediate debt which the Government is always anxious to have repaid as soon as possible. The Government position is that the Benefits Agencies are supposed to assess entitlements and arrange payments as soon as possible. However, a person released after a custodial sentence frequently will not be near the place where a bank account is held, the account may have been closed or dormant for a number of years, let alone months, and advising the agencies of rent etc. takes time! This, in itself, delays the assessment whilst the claimant has to exist on Â£46.00! A convicted person is released on licence with a Probation officer assigned to him or her and the proper and reasonable expectation that Probation staff will help in sorting out accommodation, benefits, job interviews, access to a GP, hospital, Community Mental Health Team etc. The [fortunately] few who are released as a result of a quashed conviction or sentence are normally left effectively to fend for themselves. At the High Court, where all of the most important Appeal Against Conviction/Appeal Against Sentence hearings take place, there is a small unit, the ** Miscarriages of Justice Support Unit, which works heroically with a small budget and staff and has to deal with inmates released, as was Sean Hodgson, without any support network or statutory body to ensure that help and guidance is available. At any Crown Court there is no such assistance other than Probation staff who can give a small grant and a train or bus ticket to an area â€“ with the [former] inmate left to make arrangements as best he or she can and with no right to claim statutory guidance, assistance or support from the Probation Service. The system in the High Court really is not acceptable in this day and age. This is, in this sophisticated country, an unfortunate [I use that word instead of a much stronger one] and unacceptable state of affairs. This latter comment is not intended as any criticism whatsoever towards the Miscarriages of Justice Support Unit to whom I made reference above, their budget is small and they are doing the very best that they can within that budget especially when faced with an inmate whose needs may be considerable. 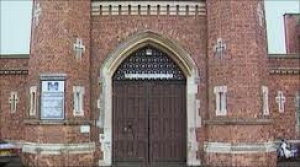 Surely there should be put in place a detailed plan and fully supported system to deal with those few unfortunate prison inmates who are released after many years in custody and who will not be supervised in the community, and give them support as good as, if not better than, the system available to convicted prisoners upon their release. It is not beyond the wit of any administrator to work out such a system â€“ indeed, if approached, I could help. For Sean Hodgson and others there has been a need to seek guidance from a Solicitor and, especially in his case, assistance from Members of Parliament. To their considerable credit Hilary Armstrong [Labour] and Mark Field [Conservative] have both gone out of their way to help Sean and cut through administrative red tape â€“ and he is a constituent of neither of them. But the point I make is that it should not be for our elected representatives to deal with such issues in this way. And as for the Â£46.00? In London, or in any town, let alone in a small village, that sum would not last long taking into account bed and board, food, clothing, the ordinary necessaries of life and so on. It almost seems as if those responsible for such a paltry payment want a released inmate to commit crime simply to live. Perhaps more structure and a system of vouchers is one way forward â€“ with other payments made according to need. If we can afford to keep an innocent man in custody for 27 years, we can, as a society, afford to look after him properly, at least in the short and medium term, when it is found that the system made an error. Perhaps that is one of the tests of a fair society. * Julian Young, Solicitor and Senior Partner of Julian Young & Co.
* The Miscarriages of Justice Support Unit employs Citizens Advice Bureau (CAB) Specialist Advisers to provide advice tailored to the clientâ€™s individual needs. The client applied for a discretionary award from the social fund known as Community Care Grant, which would offer him financial assistance in resettling. The application was for about Â£300 however the client received an award of Â£60 to help him resettle back into the community. This was confirmed in writing and the client was given a breakdown of how the award was worked out. He was given: Â£20 for a jacket; Â£8 for jeans; socks for Â£2; t-shirt for Â£5; underpants for Â£5; trainers for Â£20. The Benefits Agency awarded the client this amount of money despite knowing that the client had had his conviction quashed after being in prison for 15 years. The whole situation distressed the client as he could not believe this was how he was being treated after years of being wrongfully convicted. The way he found himself being treated further compounded the mental trauma he was experiencing as a result of the last 15 years. We requested a review of this decision and represented him at a review interview. Following this interview the original decision was overturned and he was awarded a further Â£160.